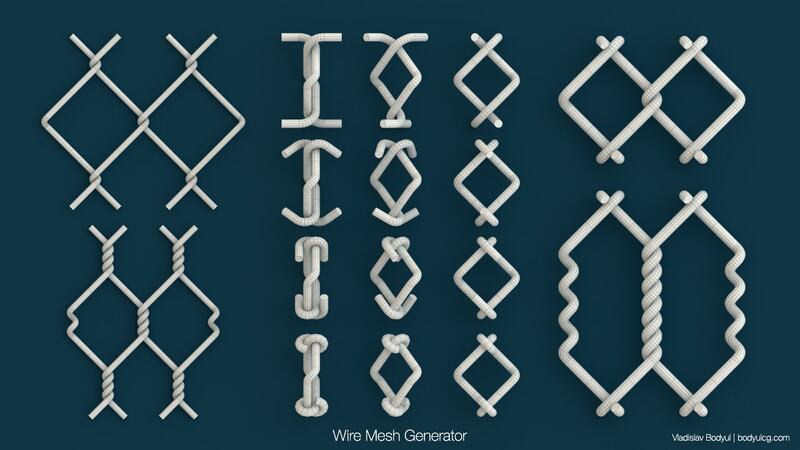 Script to generate a wire mesh. - Added few parameters for bend ends. - Added checkbox “Single Shape”. Submitted by BarryLegg on Mon, 2017-03-06 05:59. Just adding a note to say this is an awesome script that I'm going to get a lot out of use out of. Thanks so much. Submitted by BodyulCG on Fri, 2014-08-22 04:15. Submitted by Derp Meowslurp on Thu, 2014-08-21 17:53.
breh. the labryinth maker is really useful. Submitted by rezoloot on Thu, 2014-08-21 16:03. Submitted by Ruddy on Sun, 2014-08-03 23:50. Submitted by barigazy on Fri, 2014-08-01 17:17. Submitted by BodyulCG on Fri, 2014-08-01 13:23. Oo, good. I forgot about the function "mod()". Just I almost never used this function. Submitted by barigazy on Fri, 2014-08-01 02:26. Submitted by BodyulCG on Thu, 2014-07-31 13:09. Submitted by BodyulCG on Thu, 2014-07-31 13:07. Thanks big for thread of Forum. I think it's useful to me. If interested, here's a basic piece of code (function without "bend ends"). But I think it needs to be redone for wrapping around cylindrical or spherical mesh as you suggest.